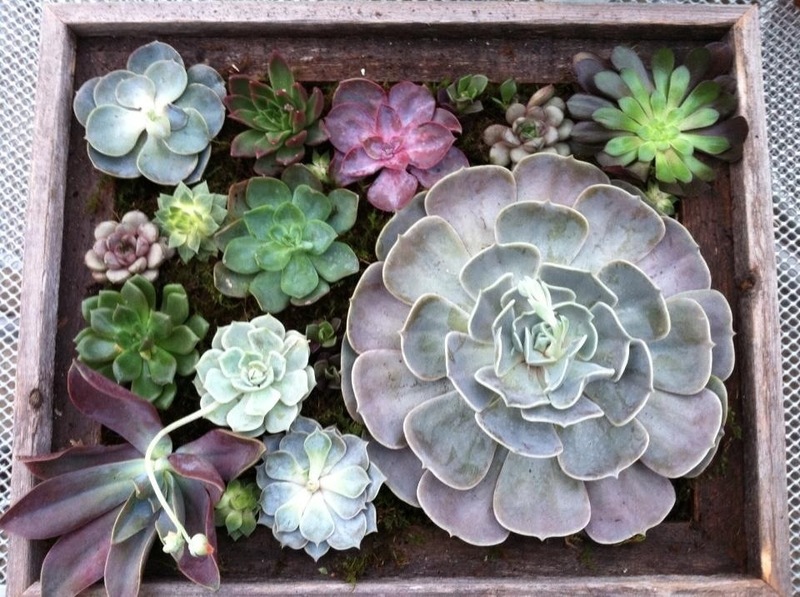 I recently designed a project which I’ve been planning for months, a Living Succulent Picture!! I picked up several succulents on my trip to New York City and hauled them home (quite awkwardly) on the plane, purchased a few more plants from Home Depot, and pulled the rest from my small collection of Hens & Chicks. I was inspired by this article from BHG.com. I love the way mine turned out!! The box was constructed around a rustic picture frame I picked up at Hobby Lobby. 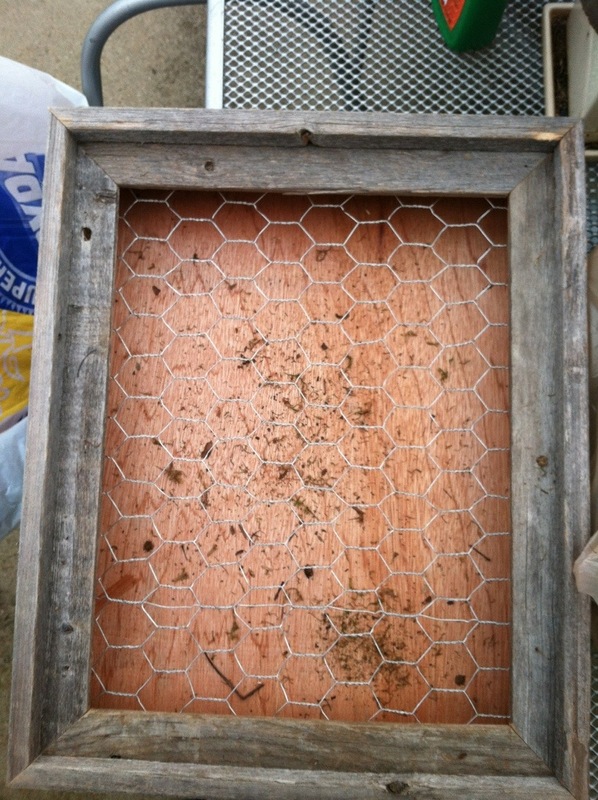 Chicken wire was stapled to the back of the frame while the sides and backing were nailed in place. A big shout to my brother-in-law, Alan, for constructing the box for me!! I filled it to the brim with potting soil. 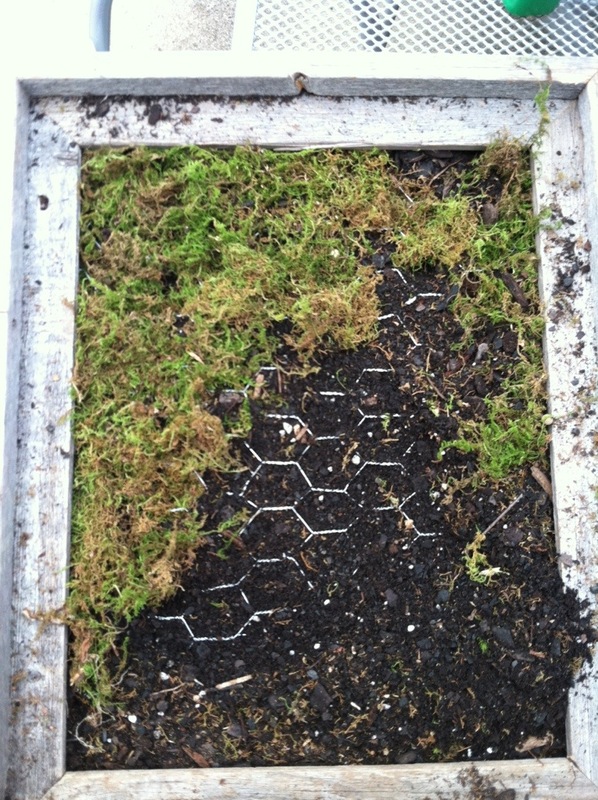 Then I tucked sheet moss in and around the chicken wire to support the succulents. Once the moss was in place, I soaked the whole thing thoroughly. Now comes the exciting part! I played around with the succulents to see what the best configuration would be. I wanted the succulents to flow visually. The large succulent is about the size of a dinner plate (hence the name , “dinner plate succulent), so it took a few minutes to get it just right. Each plant got tucked nicely through the moss into the soil. I used a Cactus/Succulent plant food to help encourage the roots to grow. Here’s the finished result. 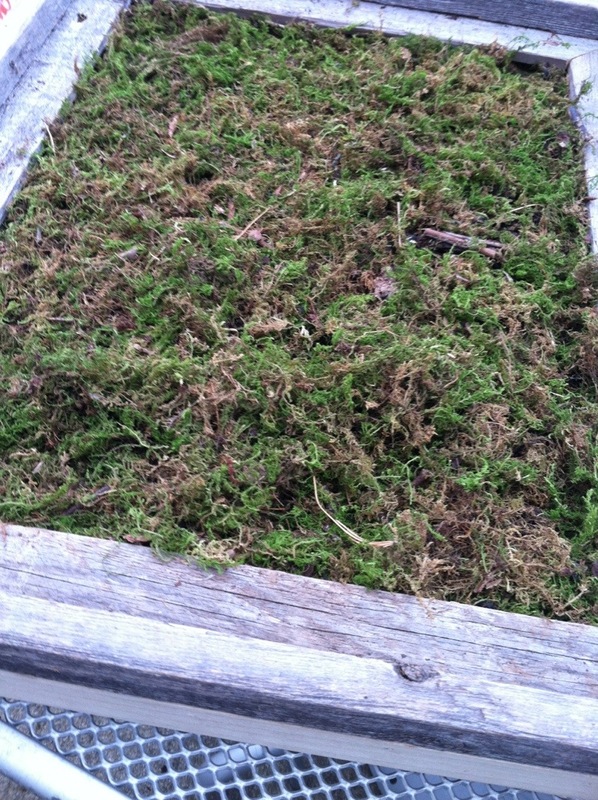 The box needs to lay flat for about six weeks to allow the plants to settle and the roots to grow. It is pretty heavy so if I decide to hang it on a wall, it will need some sturdy support. I just love it! This piece would retail for around $200 but I’m not parting with it!! 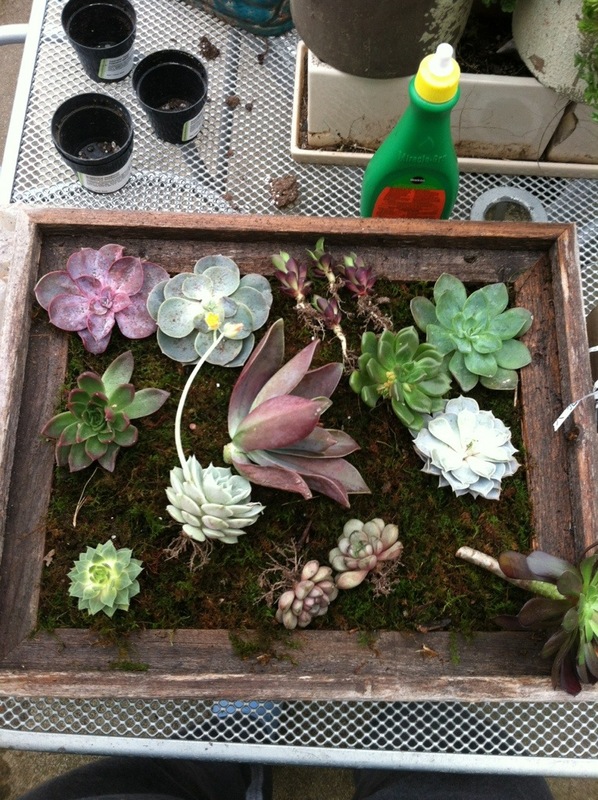 However, I would LOVE to make a customized Living Succulent Picture for anyone who might want one. Oh, and I like yours better than theirs (BHG).